There were a lot of positive reviews on Los Colibris, many, via word of mouth from people I know. Although many of them have said the dishes were good, most have preferred the more casual El Caballito Tequila y Tacos located just downstairs and in the beautiful back patio. 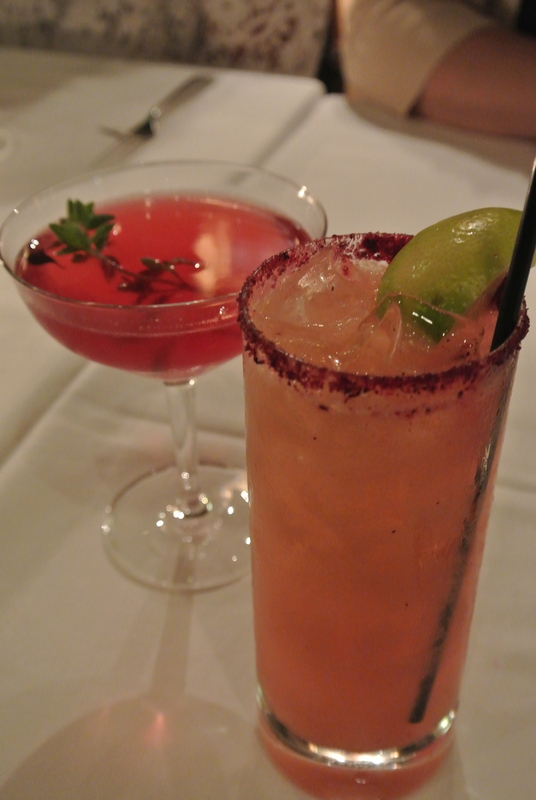 But until I try El Caballito, for now I’m only going to be able to tell you about my experience at Los Colibris. 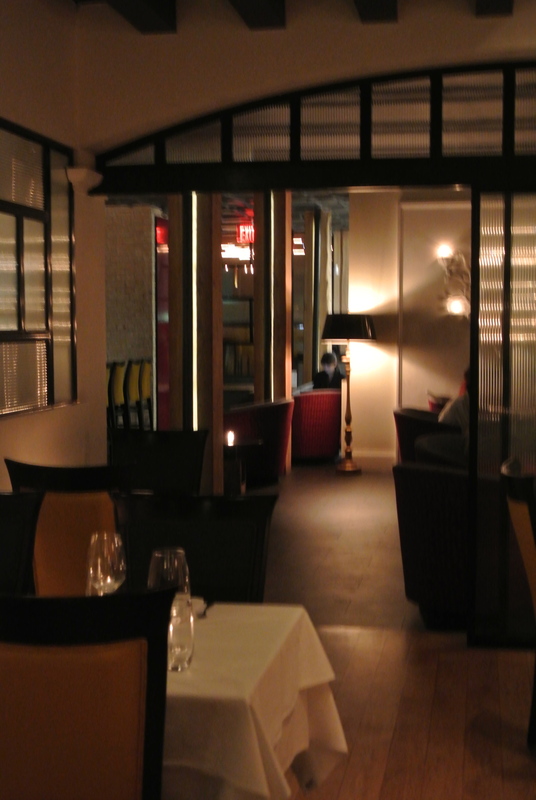 Definitely a more sophisticated vibe when you walk in, I must say that the food was delicious. Dining with my long-time girlfriends, we tend to love ordering small plates and sharing as opposed to the traditional main entree. 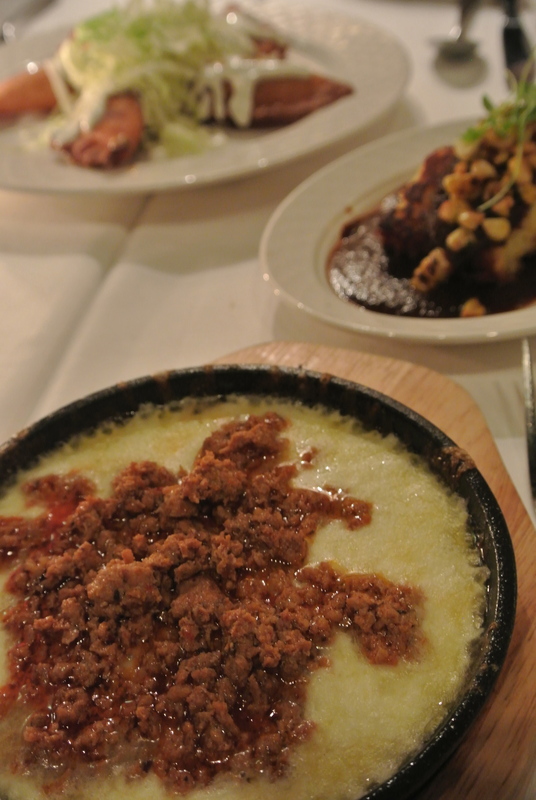 My favourite here was the Queso Fundido, a cheesy dip topped with ground spicy chorizo. Using house-made flour and corn tortillas to dip into the queso, the combination was delicious. 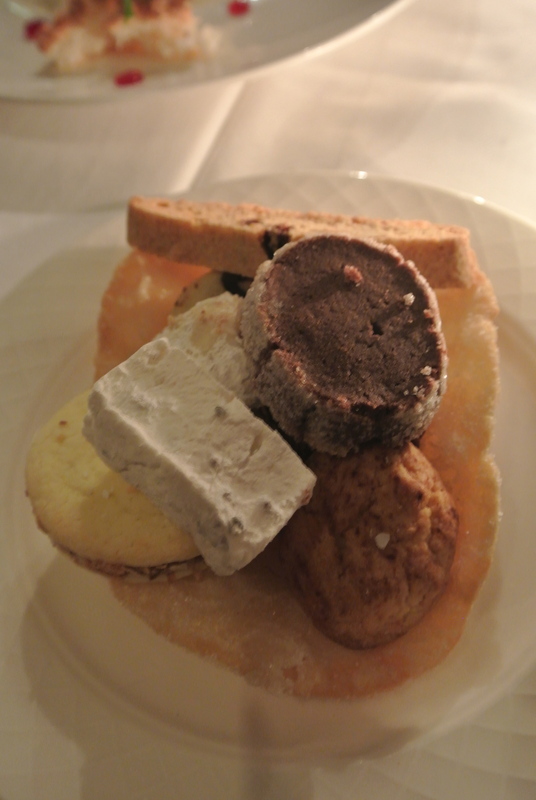 The best part of the dinner was the desserts and well, they all sounded good so we ordered one of each. Each were a modern twist on a mexican dessert but the flan de chocolate is the one I remember. Decadent and smooth, the chocolate flan wasn’t too sweet and the tuille wedged atop the flan housed a surprise dollop of nutella! How can one resist? Check out all the other dishes from the night. 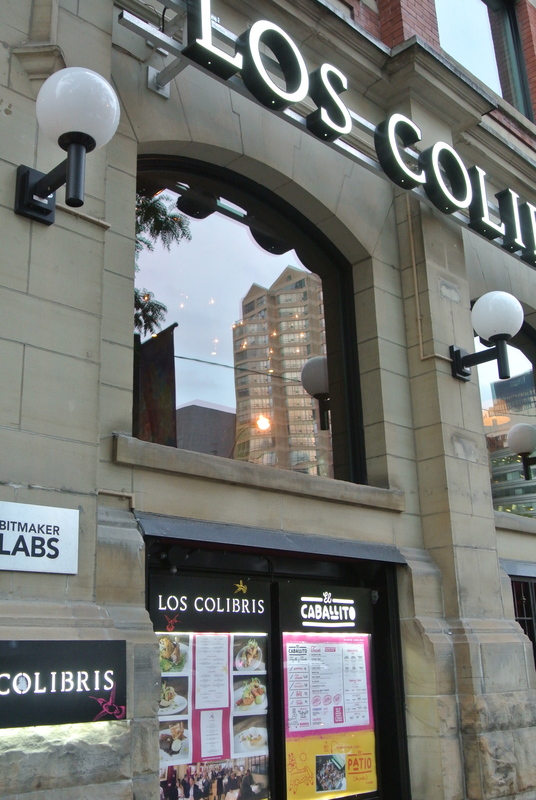 Los Colibris located on King Street. Starting the night off with cocktails like we always do when we get together. 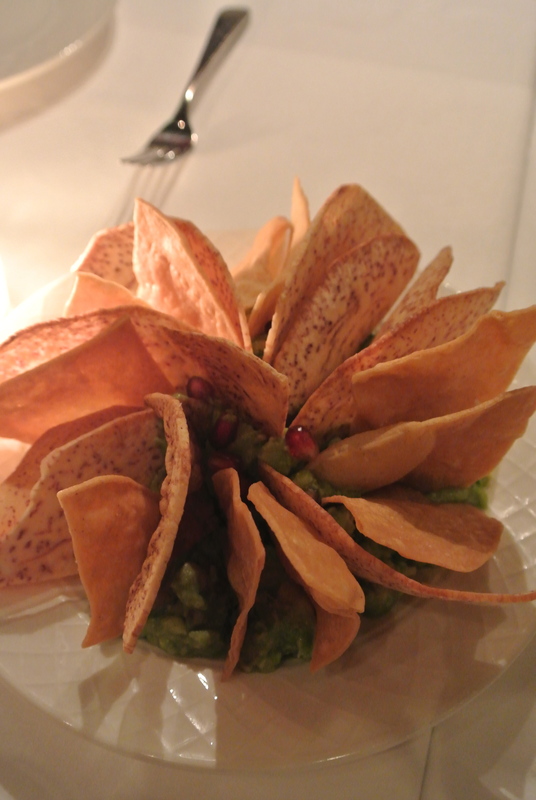 Housemade guacamole, pomegranate and chips. 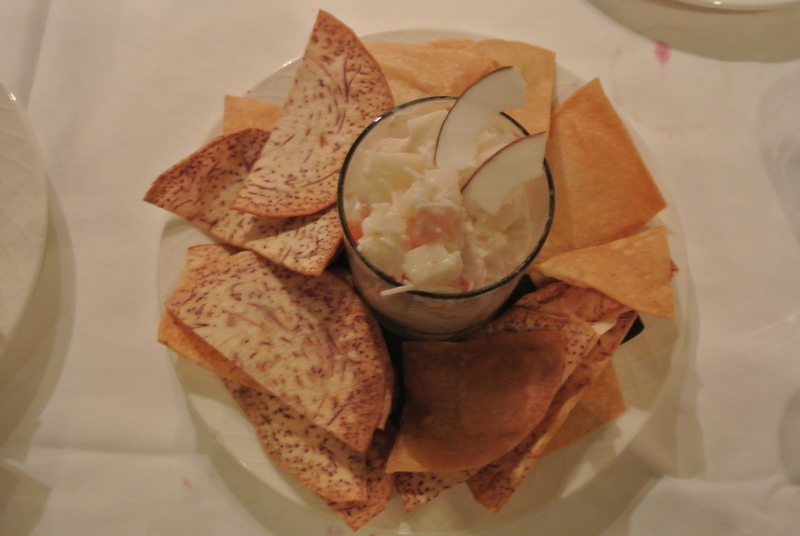 Ceviche Blanco made with shrimp, coconut, serrano and ginger. 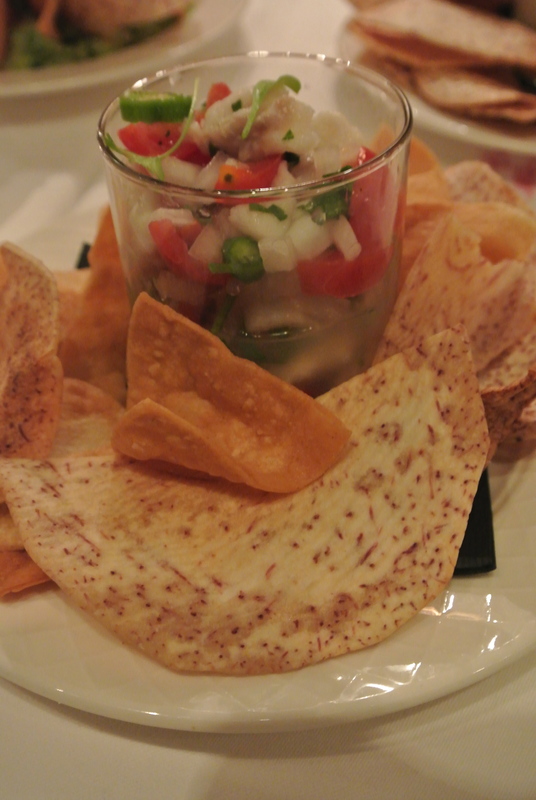 Ceviche Tradicional – cod, pico de gallo, serrano and lime. 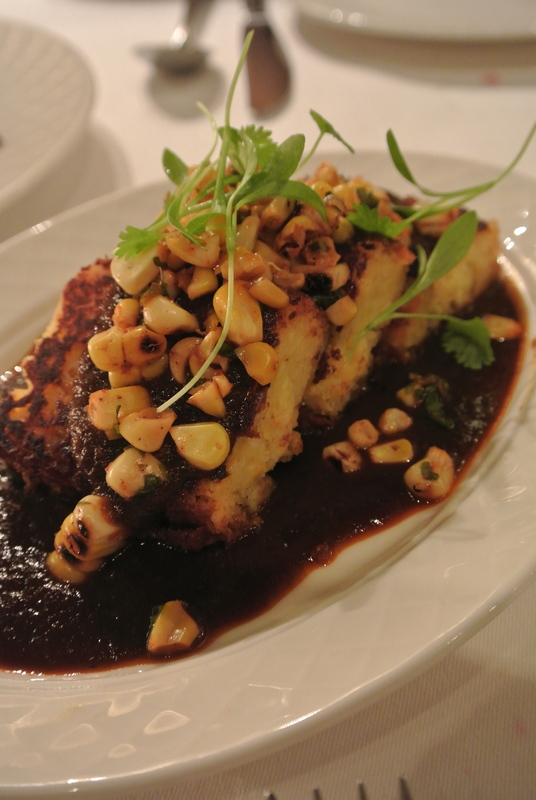 Torta de Elote – vegetarian style with mexican sweet corn cake and pasilla adobo. 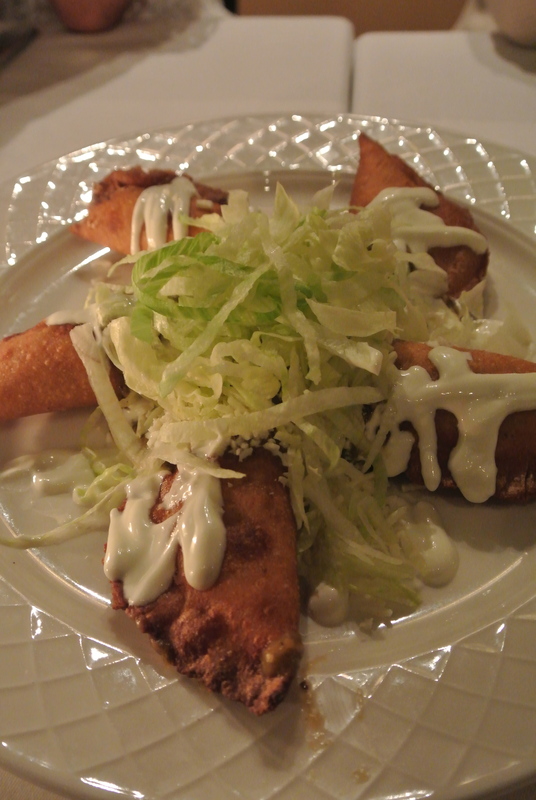 Assorted empanadas stuffed with chicken. 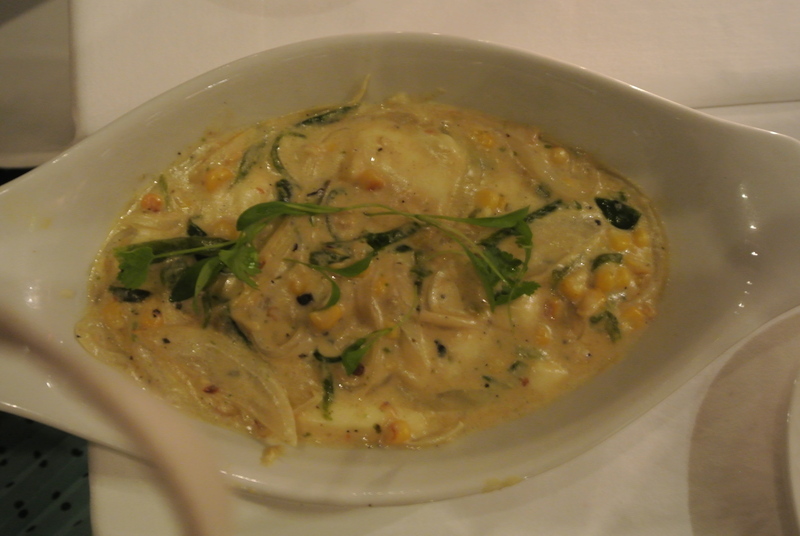 Rajas Poblanas made with corn and poblanos. Queso Fundido topped with lots of chorizo sausage. 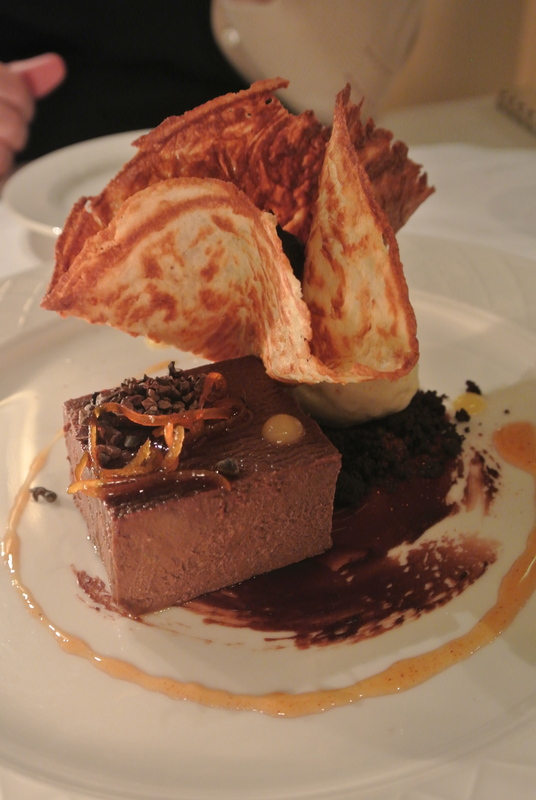 Flan de Chocolate served with burnt milk ice cream, guajillo orange confit and a tuille stuffed with nutella. 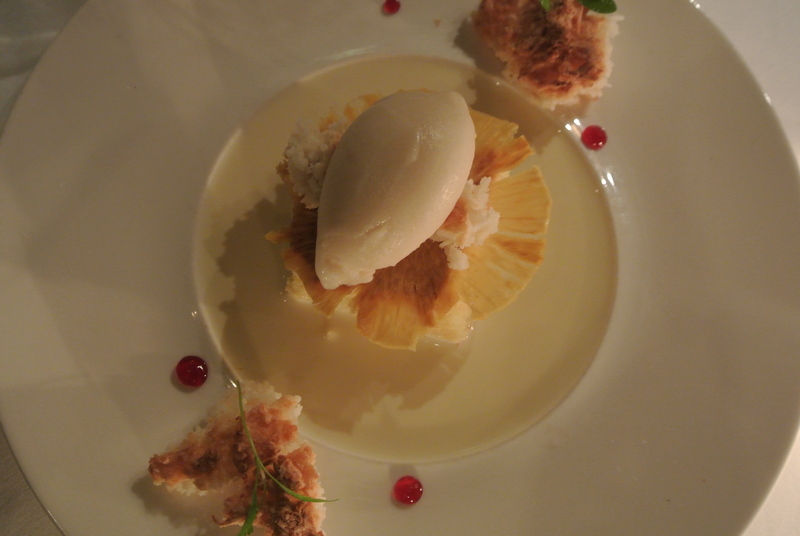 Tres Leches – moist cake, soursop sorbet, pineapple chip, hibiscus and cocada. Galletas, a plate full of house-made cookies. 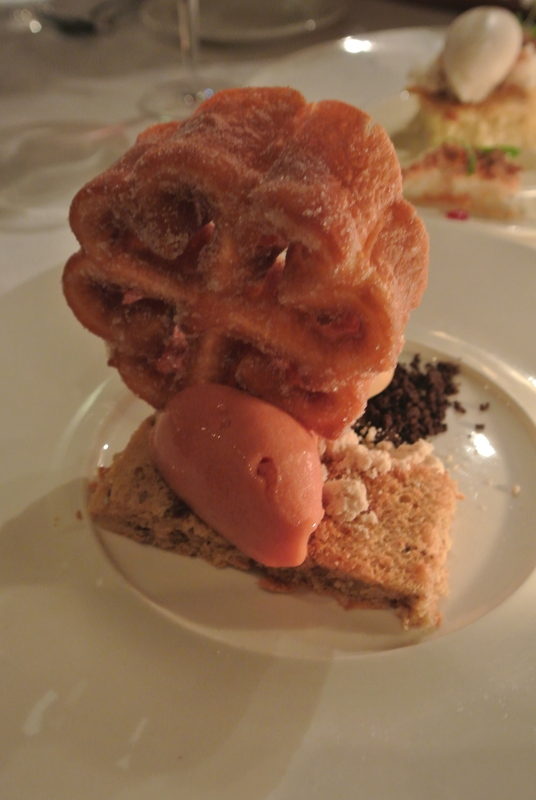 Bunuelos – hazelnut pecan rum-cake, peanuts, guava and dulce de leche ice creams.